Bold, Reliable, Resilient, Luxurious are some of the synonyms, owners of Dievas watches have associated the company with. The new Dievas MG collection is 3 years in the making. Every watch is carefully designed followed by rigorous checks and evaluations to ensure it compasses our very high standard-setting quota before it is approved and introduced. 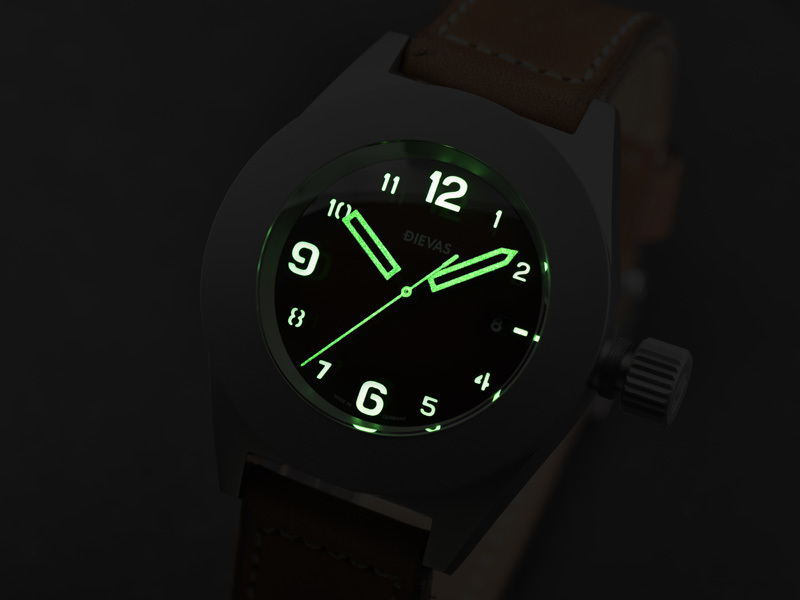 The 1000m water resistant Dievas MG-1 is limited only to 99 pieces worldwide and made exclusively for Gnomon Watches. 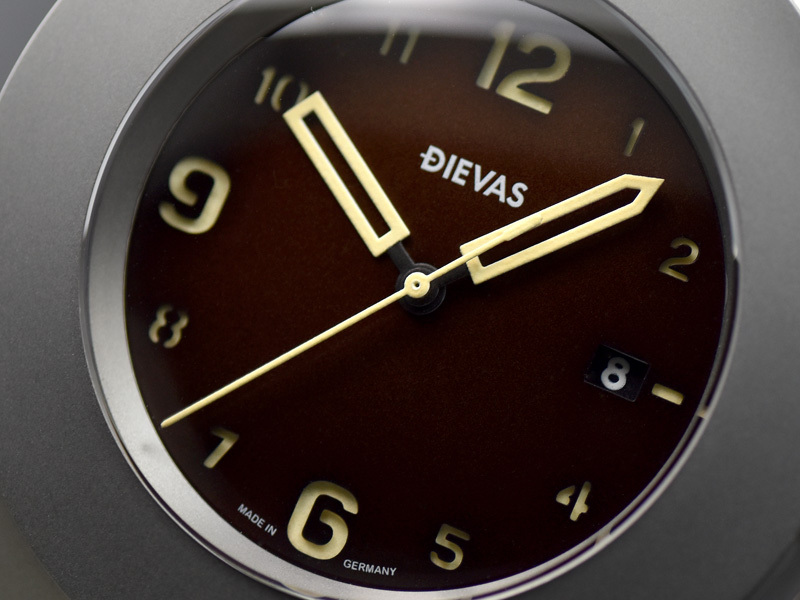 Measuring 45mm and 14m thick, the Dievas MG-1 is a watch of peerless proportions. The exceptionally sturdy case of the MG-1's German high strength marine grade superalloy produced by ThyssenKrupp is unparalleled in its remarkable resistance to seawater and anti-magnetic quality. The 100% austenic steel is about 250% stronger, 400% more anti-magnetic and 500% more corrosion resistant compared to SS316L or Grade 5 Titanium. The, marine grade steel, is the perfect material for diving watches as long term exposure to saltwater in extreme conditions can lead to corrosion. The, marine grade steel, by comparision is completely resistant to prolonged contact with saltwater. The, marine grade steel, is also known for its extreme resistance to cracking and pitting thereby further increasing its reliability. Machined using the latest multi axis CNC machine, like all Dievas timepieces, each milled piece is further hand finished by our watchmakers. Every single part of the MG-1 including the case, bezel, inner cage, crown tube, crown and 20 other inner components are singularly CNC machined. The latter is where Dievas win over our critics; through accomplished high quality old-fashion watch making experience and an immaculate eye for details, our hand finished watch case radiates a glimmer of luster and sheen superior to any other. A domed scratch resistant and unblemished Swiss sapphire crystal with inner anti-reflection coating seals the top half of the watch. Manufactured using the latest technology, the dual layered watch dial is flawless even under magnification. The dual layered dial involves a top dial consisting of numbers and indices cut out to reveal a lower second SuperLuminova, luminous dial beneath. This ensures a bright luminescence in low light conditions and a great three dimensional quality to the numbers and indices. The brownish red dial is unique only to the MG-1. Depending on the lighting conditions and reflections from the environments, the dial will appear brown or black, adding to the whole charm of the MG-1. The dial has to be seen in person to admire the beauty and uniqueness. The heart of the MG-1 is the Swiss Made ETA 2824-2 modified by Dievas Uhren Technik, each movement is regulated to the utmost accuracy before leaving the watchmakers bench. 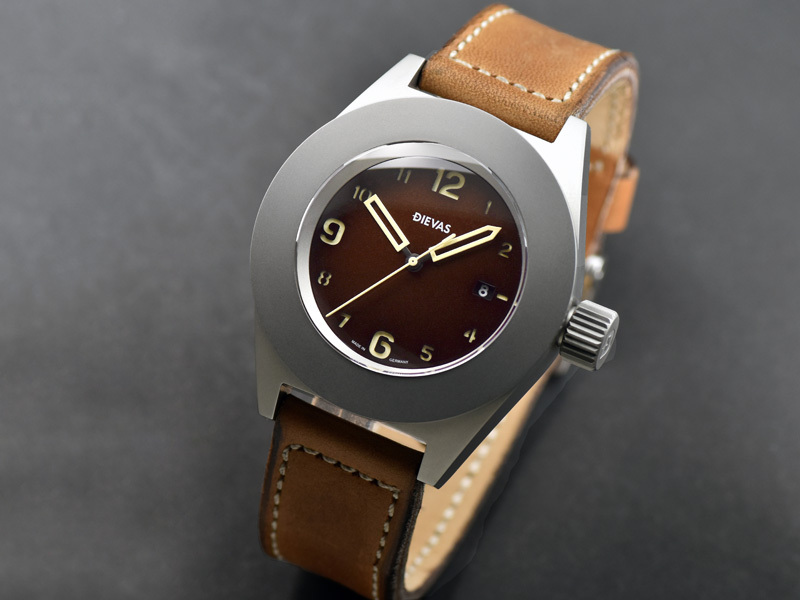 Adding to the charm of the Dievas MG-1 is the leather strap. There is a choice of Tan or Black destressed leather strap. Every strap is made from Italian sourced calf leather, supple and heavenly comfortable. Due to the handmade nature, each strap is unique and individual. 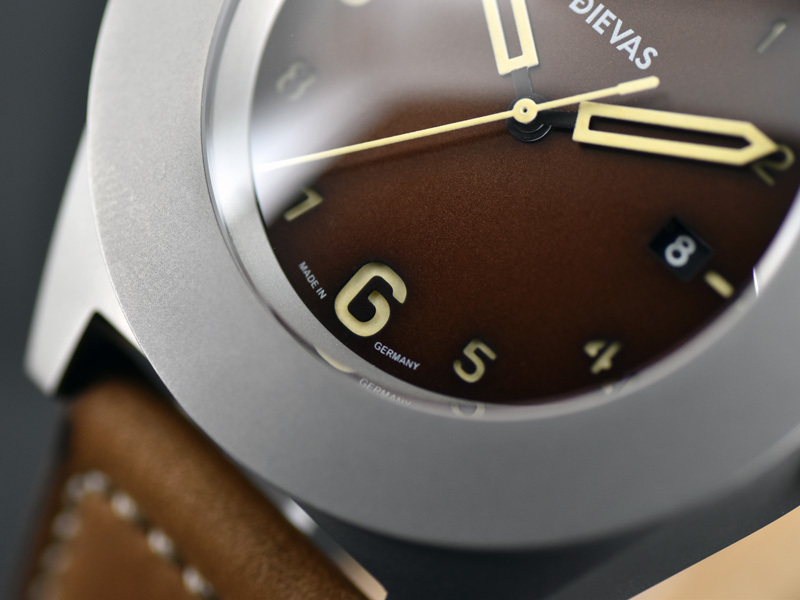 The German made Dievas MG-1 Limited Edition is a diver watch made from the best materials and skill. A simple watch, that upon further inspection reveals a culmination of vintage watch design with complex modern and advance German watch making technology. 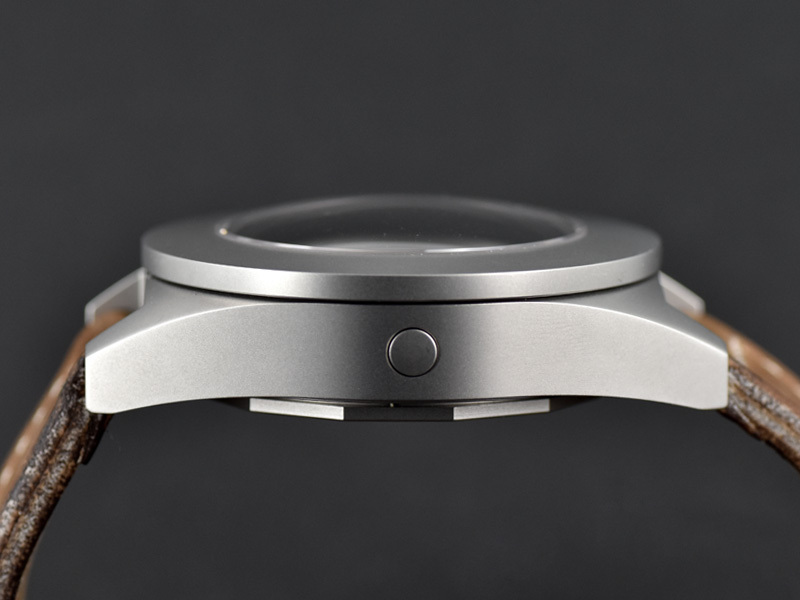 A watch that does the job better than others above or under the radar. CrystalDomed scratch resistant sapphire crystal with anti-reflective coating. 6.8mm thick. StrapBlack or Tan handmade calf leather strap. Destressed. Every strap is unique and individual. Additional G10 NATO Military strap. Dimensions45mm in diameter, 54mm lug to lug, 14mm thick. 124grams.